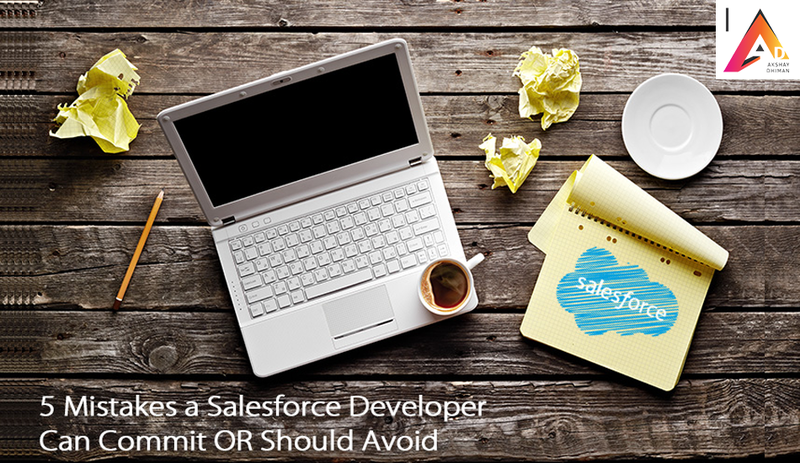 This Salesforce Blog is a developer’s experience in the Journey of Force.com development and customization. The problems faced by a day to day developer and the mistakes committed by them can sometimes be interesting and useful to a wide range of developers and administrators. So let’s start the epic!! So I hardcoded the URL for report as link in my VF page. The URL was working fine in sandbox and I was happy. Once I was done with development I migrated my changes to Production environment, Finally when I tested the application on the website I was unable to see the report on clicking the link. But I got to know later that I cannot modify the apex class in production environment and I needed to fix it ASAP so it was all a big mess! After scrutinizing the snag , I found that I had hardcoded the URL for my report and since the environment has changed URL had stopped working. Final Verdict: > DO NOT HARDCODE!!! While Developing have you encountered errors such as “System.LimitException: Too many SOQL queries: 101” ? This error System.LimitException : Too many SOQL queries: 101 is due to the fact, you are hitting on governor limit. Our esteemed Governor limits says that you can run total 100 SOQL queries in a context and you are hitting the limit. After a thorough study on the same I found that all the triggers fired will be counted in a single context or call. 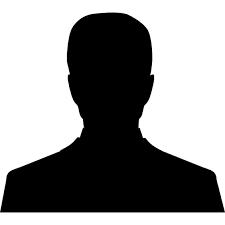 We need to ensure that total number of SOQL fired should be less than 100. In order to pass this, Many times i changed my code in such a way that SOQL fired must be less than 100. Sometimes I have also preferred if (only we need to change the context) using @future annotation when I was required to run the code asynchronously. I made sure always that the SOQL query I use should not be inside the for loop. There are certain best practices which you would have to follow to avoid this error (to avoid hitting governor limit). Always follow the above practices to make sure you stay smiling at your workplace.. The challenging part is that one cannot increase the governor limit and can only follow best practices. Once I was working on a requirement (in short) on the esteemed object Case to assign the account manager automatically. So I wrote a trigger which was “Before Insert”. I found that sometimes the account manager assigned was as expected and sometimes NOT!! Like Always I started digging out checking debug logs, manual testing etc etc. Finally Debug log was a ‘Maseeha’ telling me that I do have two more triggers with “Before Insert “ due to which system was unable to recognize the order of execution. Probably those codes were drafted by some other developers( of course my current and previous colleagues). I sat with them and finally came up with a single trigger with the same event on the object. So in practice, Avoid multiple triggers with the same event on an object because it may discommode you at times. So in the initial days of my Salesforce Development career, I faced something very terrible and good learning of course for me. I tested the trigger and it worked fine and I was done by my job and then suddenly one day trigger hit the governor limits. Like always I was bewildered. Got to know that one of my sweet colleague has written a batch apex to insert the Accounts and this was the whole sole reason. Since I couldn’t ask my sweet colleague to undo the batch class, I need to do something. After digging,I found that if a batch of records invokes my Apex code, all of those records need to be processed as a bulk, which hits governor limits. And the issue was that only one Account record was handled because the code explicitly accesses only the first record in the Trigger.new collection by using the syntax Trigger.new. Instead, the trigger should properly handle the entire collection of Accounts in the Trigger.new collection. Notice how this revised version of the code iterates across the entire Trigger.new collection with a for loop. Now if this trigger is invoked with a single Account or up to 200 Accounts, all records will be properly processed. So always put down strategy to write bulkified code.Make it as practice, though it will be not easy but good for long terms!! As per my experience in designing Visualforce you may develop a very rich UI with nice pop-ups and images but when the users start using it ,it becomes nettlesome for them to click or navigate to buttons. Always design pages around specific tasks, with a sensible workflow and navigation between tasks.The DOTS should be connected everywhere. Never overload pages with functionality and data. 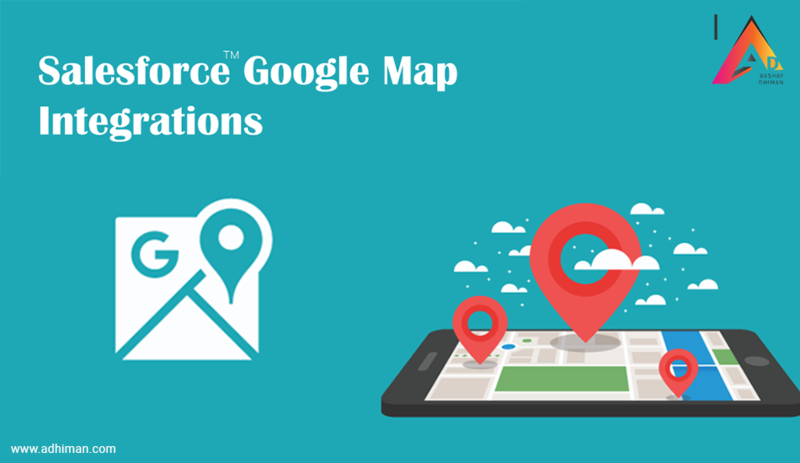 Visualforce pages with unbounded data or a large number of components, rows and fields have poor ability and performance, and they risk hitting governor limits for view state, heap size, record limits, and total page size. Always try to push back on requests to include non-essential functionality. Must Build prototypes to validate concerns. To do this, go to http://www.salesforce.com/partners/join/ and fill the form. You’ll receive by email a login to the Salesforce.com Partner Portal, which allows you to do all sorts of necessary things in the Partner lifecycle, like creating special org’s, logging partner support cases, and getting access to special training materials, etc. 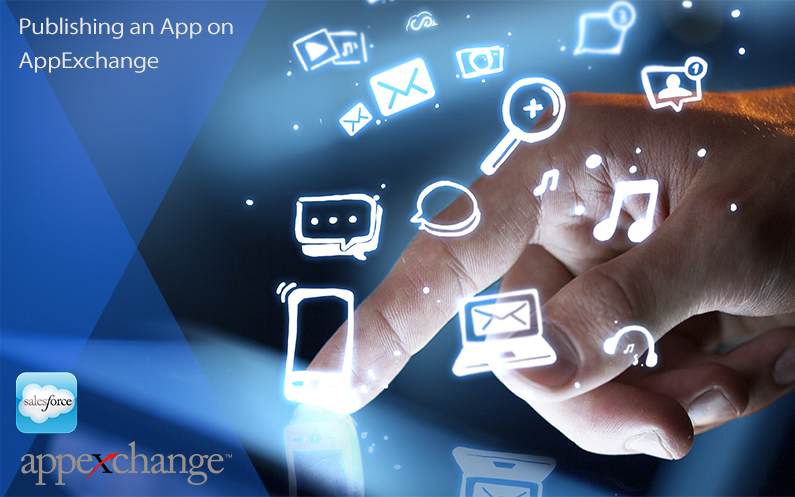 If you’ll be publishing apps on the AppExchange, install the free License Management App (LMA) app. 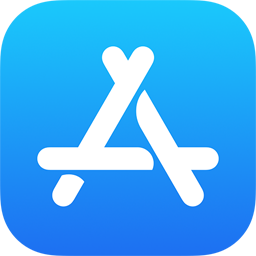 With the LMA, you can automatically receive notification every time your package (app) is installed or uninstalled, thus letting you track users and easily notify them of any upgrades you publish. Demand Tool is the leading data quality & data cleansing toolset for salesforce.com customers worldwide. Demand Tools is a suite of 10+ individual data quality modules to control, standardize, de-duplicate, import and generally manipulate Salesforce and/or Force.com data. 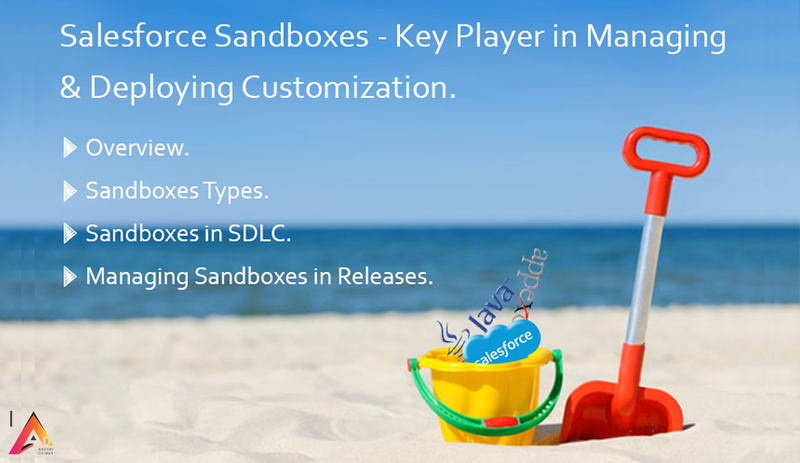 Designed to work in the Developer, Professional, Enterprise and Unlimited versions of Salesforce. 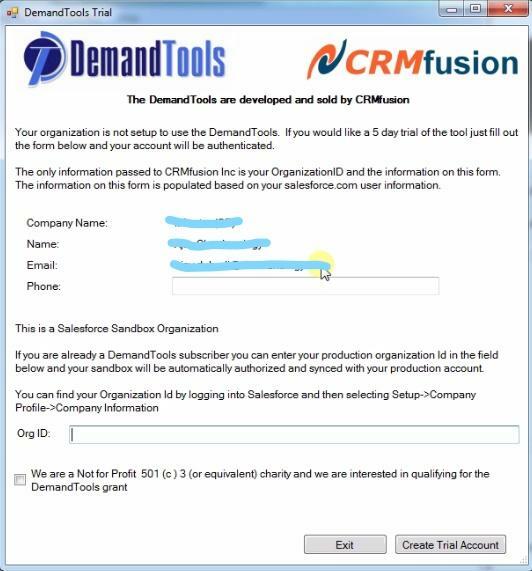 Demand Tools is a client-based application that Salesforce administrator’s install on their Microsoft Windows computer. 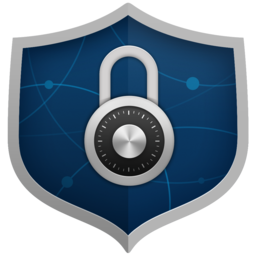 Step 1: Go to https://www.crmfusion.com page. Step 2: click on Download Trail Tab. 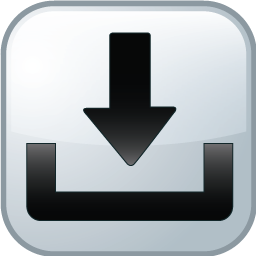 Step 3: Download Demand Tools 2.7 (32 bit or 64 bit). Step 4: Double click on Demand Tools Setup and follow the instructions step by step. 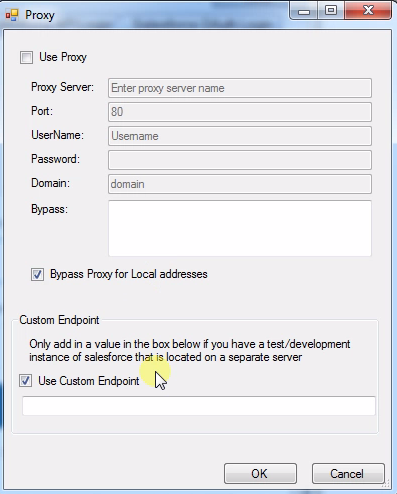 Now if you want to use Demand Tools with your sandbox for a trail, first you need to click on Proxy/Endpoint Setup and then click on Use Custom Endpoint checkbox and Enter your custom Endpoint and press OK Button and then click on Sandbox Login Checkbox and then enter your Salesforce Username and password and then click on Login to Sandbox Button. 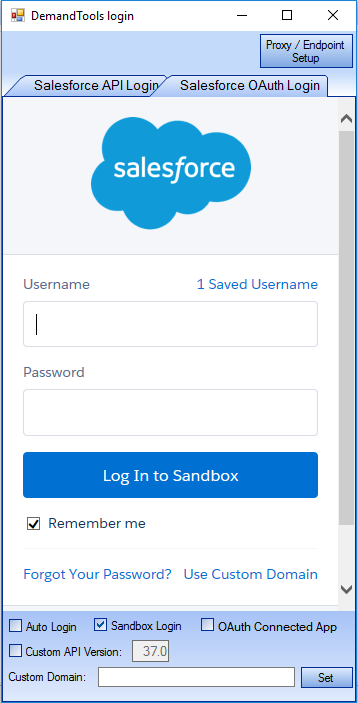 Here, enter your Salesforce.com Organization ID and after filled this, click on Create Trial Account Button. This trial account is valid for only five days from created date. The Demand Tools MassImpact module is used to modify hundreds or thousands of EXISTING records WITHOUT importing or exporting. Like, update shipping addresses fields with data from the business address fields. This module can be used to perform data standardization functions to normalize data across records and Transferring account address information to associated contacts and Concatenating field values from multiple fields into one. You can create and save custom scenarios for future use. The MassEffect module is used to perform Insert/Import, Update, Upsert, Delete, Export operation within Salesforce. This Module is used for many important cases like if you want to Migrate data from legacy systems to Salesforce and Insert Salesforce Content that resides locally on your PC (in .csv file) and you can create and Save field mapping for future use by creating the template which is used for all imports and updates. Power Grid module is used to update mass records with an easy to use grid based view of the data. Here, Fields can be updated directly inside the grid with the ability to review all changes before pushing the updates to Salesforce. It is primarily designed for use with a maximum of about 20 K records at one time. If you have recorded more than 20 k you can also use this but it takes more processing time. You can also perform delete operation on records within Salesforce. The Reassign Ownership module can be used to mass transfer the ownership of ANY object in Salesforce and its related sub-objects in a single pass using either a set of user-specified conditions or an input file of ID’s to determine which records should be reassigned. A single new owner can be specified, or a group of records can be assigned to multiple new owners, either randomly or by specifying match conditions. You can also Create Tasks or Summary Events to track ownership changes on the parent object record. The Demand Tools MassBackup module allows the user to take backup with user-friendly interface and it creates a .mdb backup file of Salesforce data on your local computer. The .mdb database that is created is fully relational and useful for different types of integrations. This module is supported with the 32bit version of Demand Tools. But the overall size of the resulting .mdb file also cannot exceed 2GB. BulkBackup module also used for backup your Salesforce data but it uses Bulk API to export the data and save to .mdb (32bit only) or .csv files. It has user-friendly interface and this module will not work for Salesforce Professional Edition (PE) Users because BULK API is not supported by Salesforce in Professional Edition. 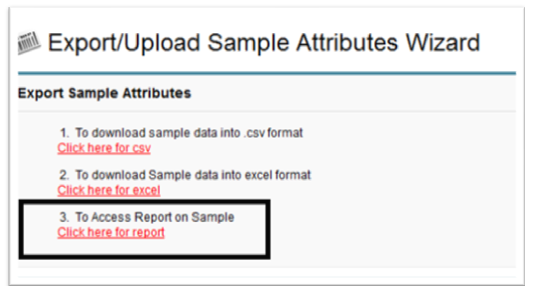 Report Edit module is a simple module that provides access to all custom Salesforce reports allowing for some basic operations to be performed like Rename Reports, Update Report Descriptions and Delete Reports. 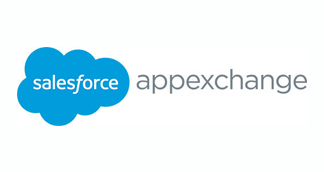 Only users with “Modify All Data” on their Salesforce Profile will be able to use Report Edit due to Salesforce’s complex report permission structure.